Remember Amlogic S905L Processor? Me neither, but I wrote about it in September 2016, with the processor being an updated version of Amlogic S905X without VP9 support, and adding HDMI 2.0b output with support for Hybrid Log Gamma (HLG) HDR. 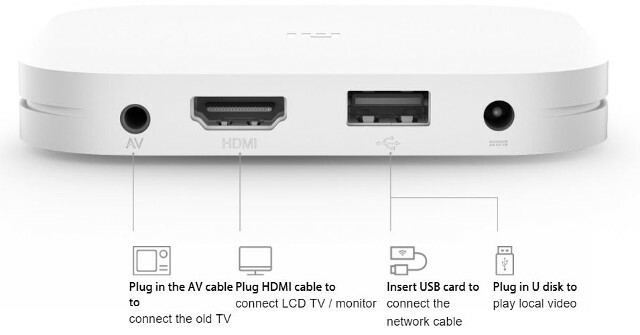 One reason most people won’t remember it is because so far, no TV boxes featured the processor, but this has now changed with Xiaomi introduced Mi Box 4 & 4c TV boxes for the Chinese market. The device runs some version of Android supporting Chinese language (similar to Xiaomi Mi Box 3 Enhanced), and ships with an infrared remote control, batteries, one HDMI cable, some instructions, and a power adapter. While it’s interesting to find a TV box with Amlogic S905L, it will only be useful to end users in China, and maybe oversea Chinese wanting to watch Chinese series or movies from another country, provided they can find a VPN that works well enough. Hmm – it is annoying that HLG support appears to require a different SoC support. Literally the only difference – it seems – between playing SDR Rec 2020 and HLG Rec 2020 content is inserting a couple of different values into the HDMI Infoframes. As HLG doesn’t require any content-based metadata – you don’t have to send any Max/Min Luminance values etc. like HDR10. It does strike me that if a SoC HDMI output stage is designed flexibly you should be able to send custom Infoframes, rather than requiring a totally new piece of silicon? no VP9 support 1080p or UHD? is youtube not that big in China? Whats the name of the youtube equivalent in china? Is there any working VPN can unblock Chinese Mainland geolocked content? 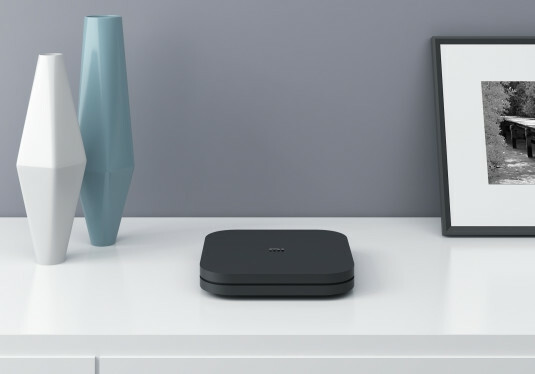 Which version of Android TV or Android OS does this Xiaomi Mi Box 4 come with? Many owners are upset that Xiaomi have yet to update Xiaomi Mi Box (international/global version) to Android TV 7.x (Nougat). Xiaomi Mi Box (international/global version) was suppose to been developed in parnership between Xiaomi and Google as an alternative to Nexus Player. I think that many bought Xiaomi Mi Box (international/global version) based on the promise from Xiaomi that they would keep releasing OS updates for it. Its kinda sad that Boxes from 2014 have more power than stuff from 2018 ? It allmost seems Amlogic and the S905 is here to stay forever (Along the mali 400/450 gpus). I’m missing something in between this low power s905 and a nvidia shileld. S912 is overheating crap. Rockchip RK3399 is fast but they again are horrible with the sdk ect. > It allmost seems Amlogic and the S905 is here to stay forever (Along the mali 400/450 gpus). Nonsense. You get what you pay for. Those are the original versions for the Chinese markets, so Chinese language only.